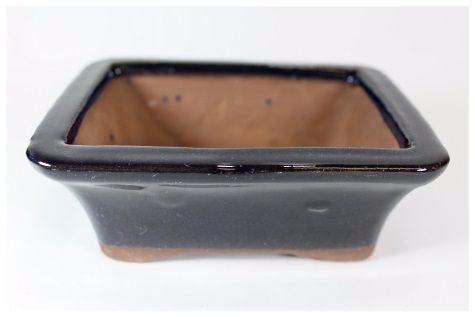 This bonsai pot has a rectangular shape and a small lip. 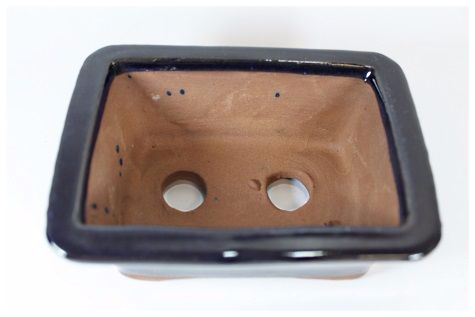 The pot has a black glazed finish and two drainage holes. The pot is suitable for bonsai with a maximum height of 15-18cm.